Hippos are considered as to be the most dangerous animals in Africa. 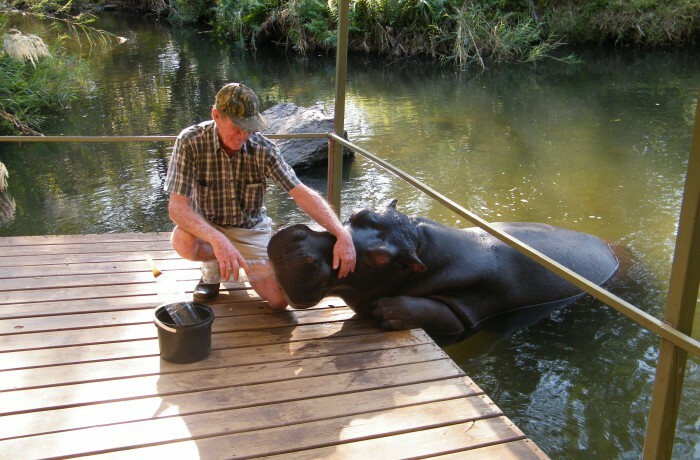 There are many reports of Hippos attacking (and killing) people and other animals. But Jessica loves interaction with people and that makes her so special. She has become world famous with this unusual behaviour. You can experience this for yourself; you can feed, touch and even kiss Jessica! You can book a tour every day!